Brugges is often cited as Europe’s most romantic little town – and it’s not hard to see why. Whether you visit in Summer or Winter (or in between), its impossible not to fall in love with effortlessly romantic Brugges. This little hidden gem is the perfect winter escape you’ve been looking for. Snow? Check. Charm? Check. Dark cozy nights by the fire? Check. 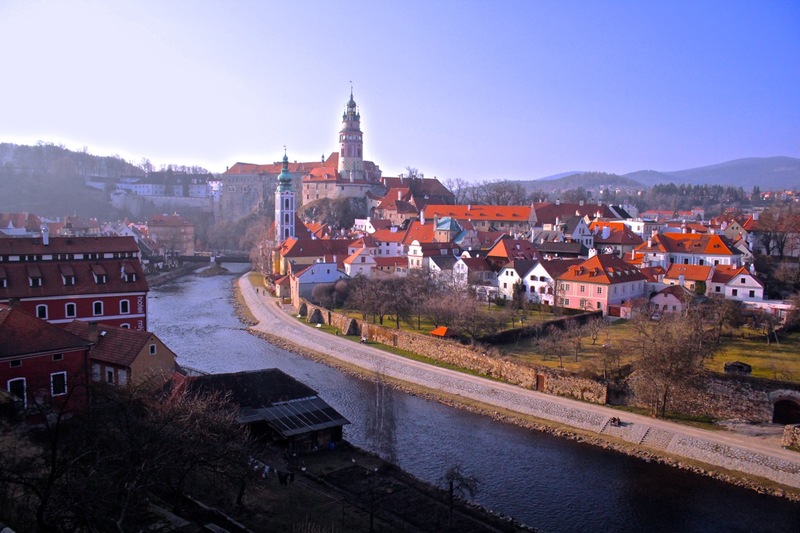 Just a couple of hours drive south of Prague one will find the impossibly charming Cesky Krumlov. It’s the perfect place to escape reality for a few days and enjoy true Czech hospitality that you just won’t find in the busy capital! It’s no secret this would have to be one of the most romantic picks in all of Europe. Sure, it’s ‘been done before’. But one look at that picture and you know why… it’s hard to beat! Cinque Terre is in fact an area made up of a few little towns – giving you more than one reason to visit! Lesser known Wroclaw is a perfect choice for travellers looking to get off the beaten path and enjoy a town less frequented by crowds of tourists. It is also home to oodles of charming and colourful architecture with each building distinct from the next! Sure, Wroclaw is a large city itself – but the old town of Wroclaw won our hearts and subsequently a place on the list. Why include just one town when you can visit many? 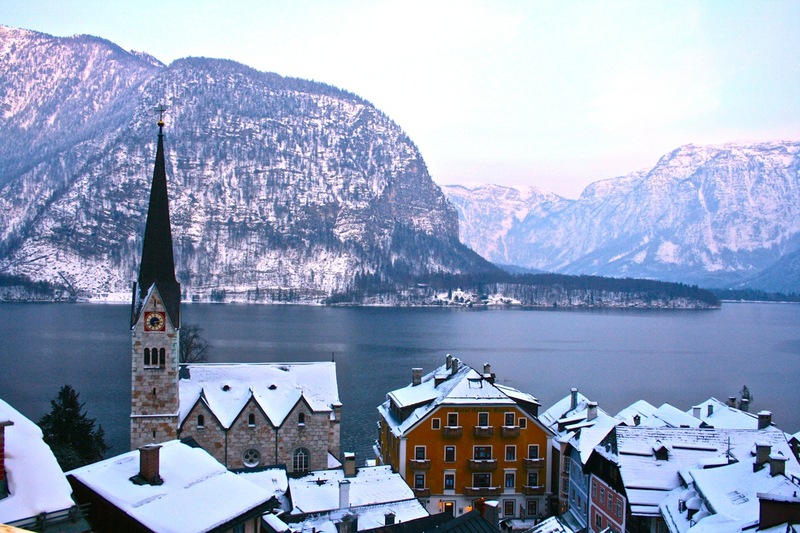 Although Bavaria is a region in Germany, it is eerily similar throughout – and we couldn’t pick just one town to visit! 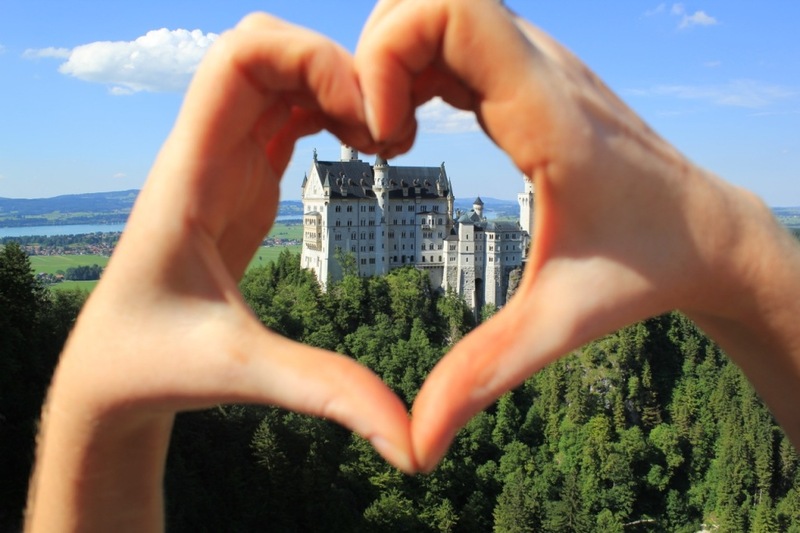 Hire a rental car and make a road trip out of it – this is undoubtedly the most romantic area in all of Germany! Although it is packed with avid ski enthusiasts during the winter, St Moritz is a true hidden gem in the warmer months. There’s a great variety of hiking in the area and the small Swiss village seems as if it could pass as a ghost town during summer – making it the perfect escape for couples. Lesser known Haarlem has all the Dutch charm of Amsterdam and more. If you’re looking to get off the beaten path in the Netherlands, this is our top pick! Whilst Porto was once overlooked by tourists and travellers heading straight for the capital, Lisbon, the fishing town has now become a strong contender for tourism. It is impossibly charming and an accurate depiction of Portuguese culture past & present. Porto is in fact the second largest city in Portugal — but the old town is simply too charming for this destination to not be included. 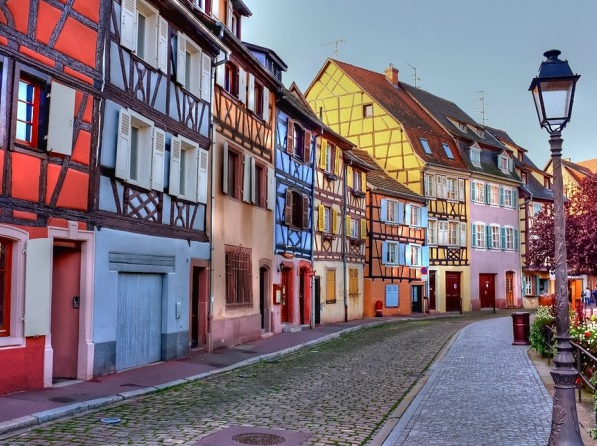 With a strong German influence just over the border into France, Colmar is a romantic dreamboat if ever there were one. Although lesser known to the likes of Warsaw and Krakow, Gdansk is equally charming and certainly the top choice for the closet romantic. Expect fascinating architecture, lively restaurants and bars, and more than enough romance to keep you loved up for a few days. 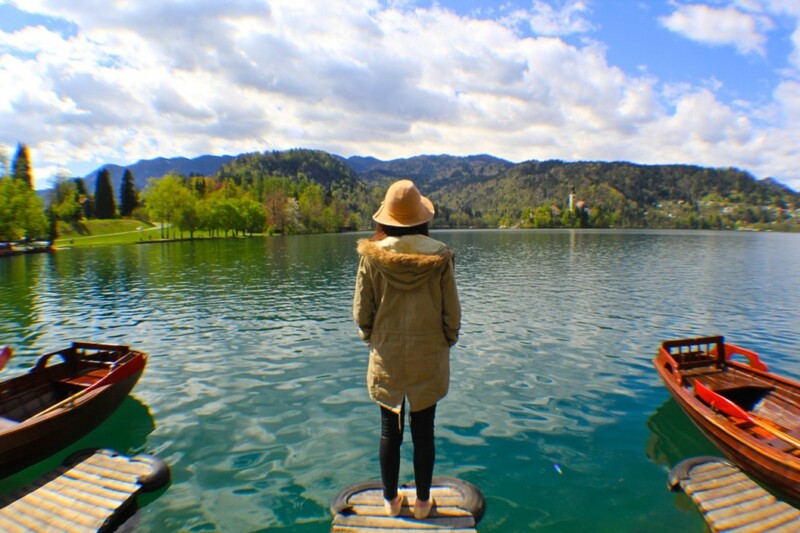 Lake Bled hardly needs an introduction… especially if a picture tells a thousand words. There could quite possibly be nothing more romantic than a visit to one of Europe’s most stunning lakes, rowing a boat to the island and climbing the stairs to the church once there. Expat Guide: Is Expat life for me? 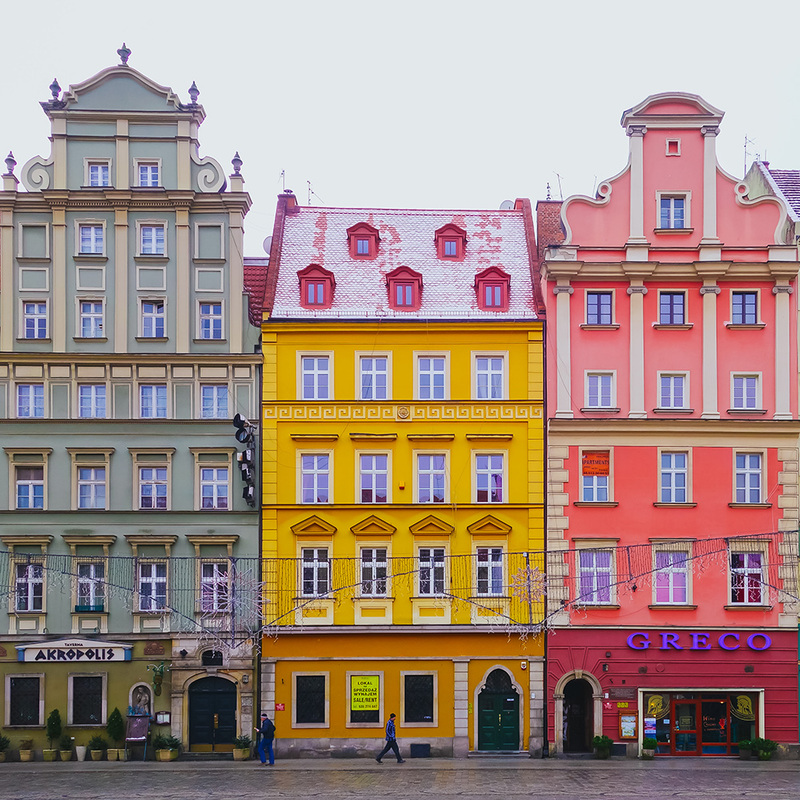 With all the due respect – neither Wroclaw nor Gdansk, both of Poland, are not small towns. Don’t forget Strasbourg in France. See other beautiful places on my website. hi, i am totally hoping you can help me decide about my summer travels. We will be staying in the Austrian Alps and renting a car, where we will explore Hallstet, Zell Am Zee, Innsbruck etc for a week. i am not sure if the best bet is to take the following week and divide that between Salzburg and Vienna, or to attempt Bavaria or Cesky or Lake Bled. or more than one. Or, fly into Vienna, spend a few nights there, go to the Alps, explore there, do Salzburg on the way back for a few days and one more listed place, and then fly out home from Vienna. Thoughts? i am afraid cesky and lake bled will be too similar to hallstet. thanks! I think you definately need to add Granada, Spain on this list! Quite a few beautifully romantic small cities in Croatia too! Seen a sunset from the top of the Motovun, Istria f .e.?? Nice list!I have really enjoyed it and I am glad that I have visited some of them! But I would expect also to see at least one village from Greece, like Santorini or Monemvasia! But, ok! Probably on the next list! Wroclaw, romantic? You have to be effing kidding me. It’s kinda dull. Gdansk, I wholeheartedly agree with though. I would definitely put Visby on Gotland island in Sweden on this list. It’s just incredible! Then Bonifaccio on Corsica/France would beat many of these towns. Yeah, in case you travel from Austria to Italy, go through Slovenia cuz it is worth visiting. It is one of the safest countries in the world so you don`t have to worry about your belongings. The landscape goes from the flatlands of Pannonia, through the Alps (where Bled is) to the seaside in just about 3 hours of drive. In Kras region there are a lot of large caverns; in Postojna even a small train goes through, but Skocijan caverns are even better. There is Bled but also Bohinj (a bit further), I`d suggest seeing Logarska valley and Bovec too. So yeah, a lot to do and see. A) The photos and headings are confusing. Photos should be under the apropriate heading…. B) Gdansk and Wroclaw are niether small or romantic. Great suggestions, however Gdansk (population of 460,000) and Wroclaw (pop. 630,000) are hardly “small towns” of Europe.. I am so fortunately to live in Haarlem and I am proud that Haarlem is on this list. Do visit Haarlem. It is only 20 minutes from Amsterdam by train. Amazing post. Such beautiful places. Would love to knock a few of these Romantic cities of my bucket list. Thanks for the great read Brooke. A few people have pointed out the over-enhancing of Porto’s colours and the fact that it is not a small town at all, so I will skip that. But it is indeed a wonderful place – and I love port wine. But I agree with those that seem to be in love with Cinque Terre: it is an absolutely wonderful area (and not just a single town as pointed out above). In fact, I think it’s unfair to other countries to include Italian towns at all in this list. Most of them are stunning. It has to be the most beautiful country on the Continent. Cesky Krumlov is also very nice, and all the others look great. In fact, this is just a tiny tiny example of the european beauty.. there would be na endless list of amazing palces to visit. Pretty sure this website doesn’t know what a small town is. Porto is rather a large city. Tenby in Wales is probably one of the most charming small towns in Europe. Fact. Porto & Gdansk <3. Love it! Some really nice places you got here, will definitely look into some of them for my honeymoon. I also suggest you to take a look into a couple of small Portuguese towns: Óbidos and Marvão. Two small medieval towns very well preserved and examples of the magic of old castle walls! Just google them and look at the image search to feast your eyes on the beauty of these old towns. Hope you can visit them one day! So many beautiful places to visit! To the editors: Porto *is not* a fishing town! You´re forgetting Delft, in the Netherlands!!! We call that one, little Amsterdam. I love that my hometown is in this list, Haarlem is the most beautiful city in the Netherlands. Love all the other towns on this list as well! Check this video from my hometown Porto…i think the photo is this article is not in Porto. Porto a small town? This article was surely written by an american. You are right about the beautiful part though. It is really one of the most enchanting cities I’ve ever seen. I would suggest the towns of Varenna and Bellaggio in Lake Como as strong contenders! arquitectura, paisagem, etc que faz a sua beleza o Porto tem a sua gente com a sua forma e como acolhem quem nos visitam que completam a beleza desta cidade. Estamos cá para os receberem. that picture of oporto has its colour saturation fully enhanced.. just seems too fake. It is nice that two Polish cities have been included but they are all but small towns having a population of more than half a million inhabitants each. How about Csikszereda in Transylvania, or Lillafured in Hungary? As far as small cities, off the beaten track, I find the picks here very skimpy and cliche. How about Csikszereda in Transylvania, or Lillafured in Hungary? I have to agree about the 2 Polish cities included in this post. They are extremely lovely and picturesque, both of them. I would, however, put Krakow on the top of the list of both Polish cities and cities in all of Europe. Really surprised you missed one out: Sintra, less than an hour away from Lisbon, in Portugal. One look at their website and you know why. Bavaria is nice. But i prefer the north of germany. There are lots of cosy English towns in England! I think of Cantebury, Salisbury,Lewes, etc. As someone currently living in Brussels and planning to go to Brugge I see your placing it on the 1st place as a definite incentive to do so asap! And it’s nice to see some Polish cities on such a list for a change, if you’re looking for some even less known, but perhaps even more interesting try Torun or Bydgoszcz! these all look amazing! gosh, where to go first 🙂 i’m currently living in munich, and i have to admit, bavaria has some really amazing spots. We loved Colmar, back when we visited years ago, and again when we visited last summer. I’d rank both Giethoorn and Gouda above Haarlem, for Nederland towns. And Cochem, along the Mosel river in Germany, was amazing (and so much less touristy than the Rhine river villages). The five villages of Cinque Terre were definitely contenders. Given which, I’d be happy to check out the others mentioned in your list. Really love all the photo and what a wonderful cities. Does anyone know the font name or style for the first photo…???? Great list! Just wanted to point out that Cinque Terre isn’t actually one town- it’s an area made up of five (cinque means five in Italian) villages along the Italian coastline. Porto is also the second largest city in Portugal, so I don’t know if I would consider it a town! Both places are beautiful and I would highly recommend hiking from town to town in the Cinque Terre. I did one of the hikes and it was stunning! Would have hiked the next few towns if we were there for longer. I live in bavaria and it’s true here are a lot (!) of small cute towns. Especially the old quarters of towns, are very sweet and I love them. The best is: you can find an old quarter in almost every city in germany. No places in the world have such a charm as European Old Towns! I have been to three of above, Porto, Wroclaw and Gdansk. I love the unique architecture of the Old Towns in Poland and picturesque streets of Porto! Nice post! My husband and I celebrated our anniversary in Positano, Italy – it most definitely should be included in this list. Porto is completely over-photoshoped here. It is really amazing city, I lived there. But not that colorfull at all, sorry. Thankfully from Europe and completely familiar with cities from the list. Greetings from Czech republic, Cesky Krumlov ist the freakin best! I would recommend Bled, Slovenia as well! heaven on Earth. Oh yes, Cinque Terre … sooooo beautiful! Greetings from Luxemburg, a very nice city too, but not so romantic. Oh yes I loved Sibiu too!!! Colmar near Strasbourg is absolutely beautiful – I visited in July. I would also add St Paul de Vence near Nice in the South of France to the list, also any town in the Cotswolds in the UK. you forgot Sibiu, Romania. It’s a lovely medieval little town in Transilvania, along with SIghișoara. Lovely post. I’d include Seville in Spain, Cambridge in England (punting on the Cam!) and Pai in Thailand. 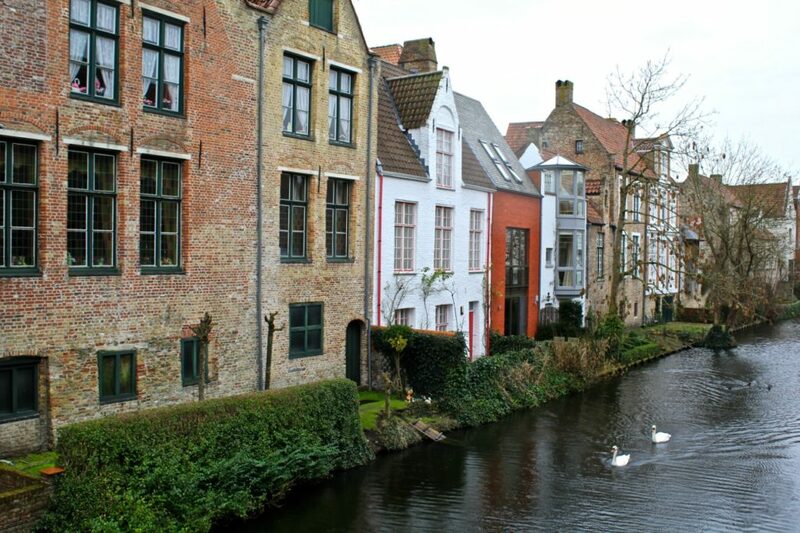 I’m going to Bruges next month – it’ll be a solo trip though, so probably not all that romantic! Lovely post Brooke… I’m especially fond of Brugges, and realize I need to visit many of your other suggestions! Gdansk and Wroclaw are great, but having visited both (and knowing the population of each is around a half a million), I wouldn’t call either a “small town.” Zakopane, Kazimierz Dolny and Zamosc are better choices for this list. Even the city of Torun, at 200k, has more of a small town vibe. Great suggestions! I love Cinque Terre and Brugges! So many beautiful places! I definitely second Cinque Terre and Bled. Slovenia is absolutely stunning! I’ve previously written about the glamping option in Bled, which is definitely a super romantic way to spend the night in such a fairytale setting. I’m so going to visit these places ! I want to go to Europe so bad! I’ll reiterate the sentiment of some of the others and express my love for Gdansk. When I traveled there 2 years ago friends and family were utterly baffled – it’s not a common holiday destination in the US. Rich in history, pride and amazingly friendly locals – I couldn’t get enough of this quaint little town! Nice that you have included two cities in Poland! We really love Poland and think it is an underestimated country! I would definitely suggest to add Positano, Italy to that list. Most romantic and magical place! Thanks for reading it :-). I’m glad Poland made your list! Twice! All these places are worth visiting. Cinque Terre is beautiful. I would say that Brugges is teh most romantic place in Europe! Bruges is beautiful indeed but also full of tourists. I live near Bruges and Ghent and definitely prefer Ghent. There are less tourists and I feel like Ghent is full of young, creative people and less “traditional” than Bruges. Added Cinque Terre to my must-visit list! Your posts never cease to amaze me Brooke, always so well- written and informative. I have just started my own travel orientated blog and would appreciate if you could follow, like or give it a comment. Thank you! These places look amazing! Bavaria, Lake Bled and St Moritz are my favorites. I live in Czech Republic, but I have never been to Český Krumlov (it is written like that in the Czech language), but I would like to go and feel the atmosphere :). I am originally from Slovakia, it is the neighboring state to Czech (we used to be in brotherhood) and I think the most romantic place you should visit in Slovakia is The Town Of High Tatras – Mesto Vysoké Tatry (in our language) – it is based of 4 small villagesi it is in High Tatras, not far from Poprad and it is beautiful in winter :). looks absolutely stunning, yearning to visit them all! Wow, Cinque terre is definitely on my list now! I would add Ferrara to the list, a small, beautiful and romantic town in Italy! 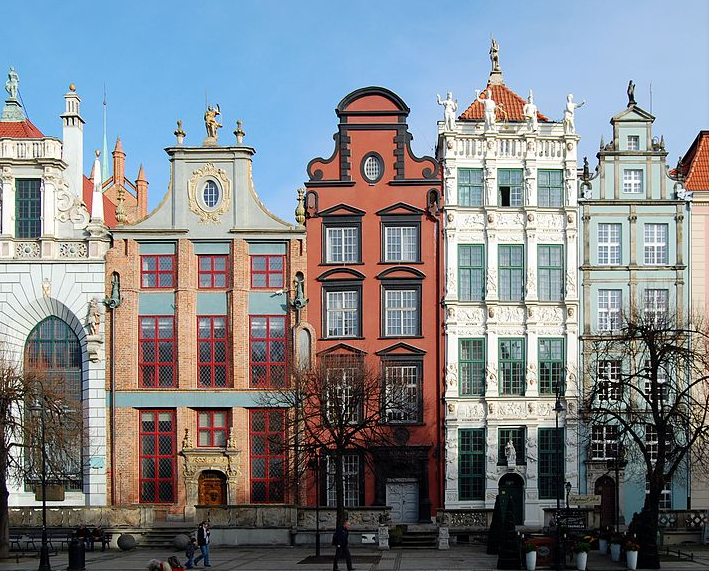 I can vouch for Gdansk – one of my favorite cities in Europe! Being an ex-pat American, living just across the border in Russia, we make a trip to Gdansk at least once a month for shopping, etc. Old Town is wonderful, with lots of restaurants and shops; plus, it is very affordable. any town on the Amalfi coast! you really ought to visit that part of italy! i LOVE brugges! belgium itself is an incredible country and brugges is no exception. austria too – just too amazing and definitely romantic. i can’t wait to go back! I just heard that I’m accepted at the University of Brugge so I’m going to live there for half a year. Can’t wait, it’s so beautiful and romantic there! I’ve been to five of these and adored them all! 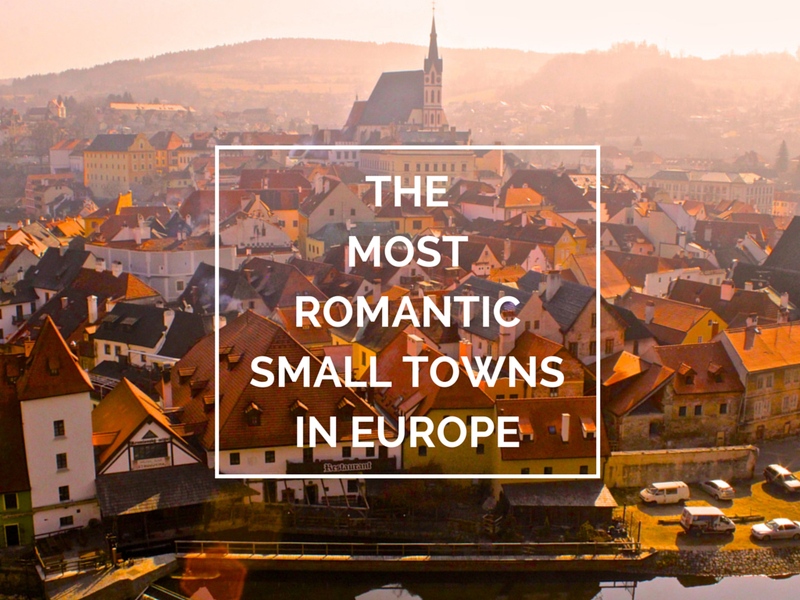 This is such great timing, I have been looking for lists with smaller, romantic towns and villages in Europe recently. Great suggestions! The picture of Porto looks like a painting! It’s hard to believe a place could be that picturesque and colorful. Beautiful pictures! These places look amazing! Great post. I just love how you share all these different small towns around Europe that are relatively unknown to everyone else. These places all look so lovely! I’m so keen to visit Europe again and head to some of the lesser known areas.